Auricular therapy is a new service, offered for the first time in Sparta by Southern Illinois Spine and Joint Center. If you’re ready to quit, we are ready to help you! Auricular Therapy works because it alleviates the urge to smoke during those first critical 96 hours—when your body is still physically addicted to nicotine. Once you beat the addiction, the urge to smoke diminishes dramatically. How it works: Up to now, your inability to quit smoking has not been due to lack of willpower or weakness of character. The fact is, nicotine is addictive, and your body is hooked. Right now, every time your body runs low on nicotine, it sends an urgent message to your brain to light up. As long as you smoke that next cigarette, the cycle of addiction continues. By stimulating certain nerve endings along the outer ear, auricular therapy actually intercepts those messages on their way to the brain. By interrupting the body’s request for more nicotine, it breaks the cycle of addiction. After 96 hours without a cigarette, your body no longer feels the urgent craving for nicotine, so it stops sending messages to the brain. You no longer feel agitated and helpless, but calm and strong. It’s painless, and it takes only twenty minutes. 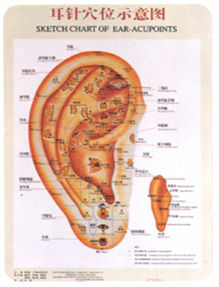 When you arrive for your auricular therapy session, here is what to expect. After checking in with our receptionist, you’ll fill out a brief questionnaire. In the treatment room, Dr. Ryan Reiss will review your smoking history and offer proven strategies for dealing with places and events that trigger your urge to smoke. Then he’ll explain the process. He’ll show you the stylus used to touch certain pressure points along your outer ear. He’ll apply the stylus to one ear and then the other in several different points. In a couple minutes, your urge to smoke will be gone, and you’ll be on your way: that’s all there is to it. Feeling tempted again? Booster sessions are free! Do you feel the urge to smoke returning? If you feel like you’re on the brink of backsliding, don’t panic. Simply call our office to schedule a quick “booster” session. 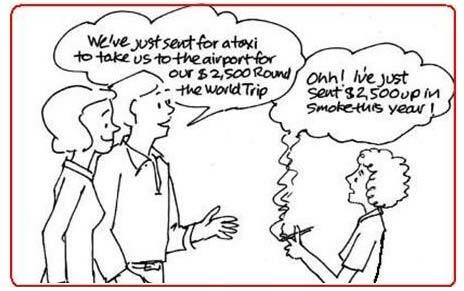 As long as you haven’t smoked, it’s free. And you’re entitled to as many booster sessions as you want or need. Treatment could pay for itself in a month or less. Everybody knows that smoking takes a toll on your health. But what about the toll it takes on your wallet? Successful auricular therapy treatment could pay for itself in as little as a month as you save the money you would otherwise spend on smoking. Our success rate is phenomenal. The best reason to call for your auricular therapy treatment is because it works. We have approximately a 75% success rate. If you’ve been waiting for the right time to quit smoking, that time is now. Call today to schedule your appointment; our number is at left and we look forward to hearing from you.